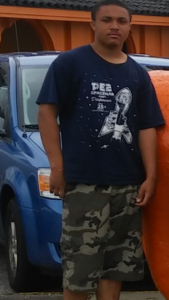 Missing Teen-Jibrael Joseph Swinney (DOB) January 28th 2000 left his residence on Central Ave Morrisville Borough PA On May 28th 2016 around noon after an argument with his father. Jibrael is a light skinned black male, 6′ tall 225lbs with short chopped black hair and large diamond earing’s. Jibrael stands slightly crooked due to medical issue. He frequents the area of Virginia Ave in Trenton NJ.